Even though I had most of these text elements handled in my mockup, I'm now seeing what's available to me via the WordPress template tags. You've probably noticed that the classes authorName and bigNum were not the part of my original mockup. 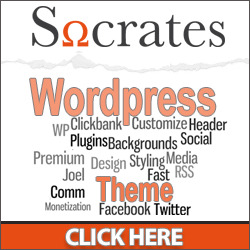 I've decided to add them in as I'm developing the WordPress theme. This is the kind of thing I was discussing in Chapter 2's overall strategy. By making sure the XHTML/CSS mockup was handled well using more "generic" or high-level XHTML objects and container div tags, it's now very easy to add finishing touches and details within the template by taking advantage of CSS inheritance. I thought that making the author's name just a little smaller would offset it nicely from the article, and as I created the comment icon, it would be cool, if there were comments, to show them in a big number floating in the middle of the icon. You will probably come across a few details like this yourself; feel free to add them in as you see it. As long as your changes don't drastically change the layout, your client will not mind. If you think they will, it might be best to add to your original mockup and send a screenshot to the client for approval before proceeding. If you copied over the loop from the default theme of a 2.7+ installation, you're good to go. Mark a post as "sticky" in the Administration panel and you'll see your .sticky class, which we created in Chapter 2, at work. 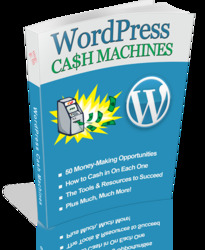 In WordPress Cash Machines, you will learn over 50 different methods of making money with WordPress.